The Porcupine’s Quill has been around for forty years, so we’ve had lots of practice attracting and publishing new talent. 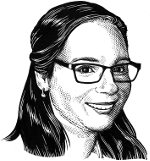 We are very lucky to have worked with some of today’s literary lights before they went on to do great things, like winning prestigious awards and publishing with big, multinational publishing houses. Some of the greats that we published before they were famous include Jane Urquhart before she wrote The Whirlpool and Elizabeth Hay before McClelland & Stewart won the Giller Prize for Late Nights on Air. Other novelists who published with PQL early in their careers include Steven Heighton, Andrew Pyper, Gil Adamson, Michael Winter, and Annabel Lyon. We published Robyn Sarah’s Promise of Shelter and A Day’s Grace before My Shoes Are Killing Me won the 2015 Governor General’s Award for Poetry. Promise of Shelter is linked not by a common setting or characters, but by narrative intent. It is storytelling that steers a path between layers of a situation so as to tell two stories at once. To be given a day’s grace is to be granted one last chance to make good what has been left unfinished. 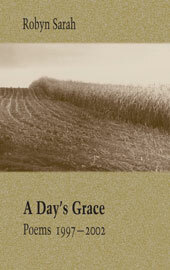 But a day’s grace is also the ordinary gifts of grace that any day brings. 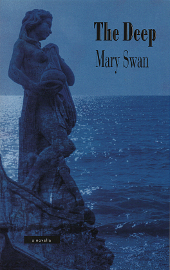 We published Mary Swan’s The Deep before she was nominated for the 2008 Giller Prize with The Boys in the Trees. The Deep is a vivid, accomplished tale of twin sisters caught up in the mania that was World War I. The year is 1918. Esther and Ruth, living a life privileged and protected, embark upon a journey to France that will profoundly affect their relationship with each other, those they leave behind and those they have yet to meet. 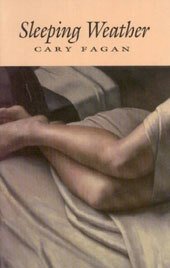 We published Cary Fagan’s Sleeping Weather before A Bird’s Eye was shortlisted for the 2013 Rogers Writers’ Trust Fiction Prize. Leon Stone is a man blessed with good fortune—a wife he continues to feel passion for, a young daughter, a safe neighbourhood. But his fear that it will all be taken away from him appears to be realized when Vasily arrives next door, carrying his possessions in two garbage bags…. 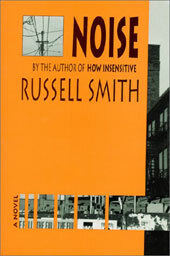 We published Russell Smith’s Noise before Doubleday published Young Men and before he was longlisted for the 2015 Giller Prize with Confidence. Set in the cynical and celebrity-obsessed world of mainstream media, and alternatively in the stultifying conservatism of suburban sprawl, a failed musician and intellectual nerd has become a freelance magazine writer and unwillingly been cast into the role of fashion arbiter. Reluctantly, and only for the money, James Rainer Willing agrees to interview the reclusive nationalist Canadian poet Ludwig Boben for the prestigious American magazine Glitter. And of course we can’t this one! 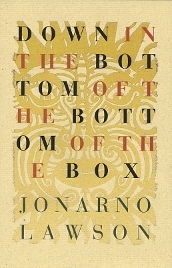 We published JonArno Lawson’s Down in the Bottom of the Bottom of the Box before Sidewalk Flowers won the Governor General’s Award for Children’s Literature in 2015. Down in the Bottom of the Bottom of the Box is great for kids who are just beginning to learn the subtle differences between sounds in the English language. Paper cuts by graphic artist Alec Dempster complement Lawson’s poems, giving life to the bizarre world within the book. Hope you enjoyed discovering some of the books written by these fantastic well-known authors. Be sure to follow the links about to experience their delightful early works from PQL! This entry was posted in Letters from the Porcupette (the Intern's Blog) and tagged Cary Fagan, From the Vault, JonArno Lawson, Mary Swan, Robyn Sarah, Russell Smith. Bookmark the permalink.